The beauty of Charleston can offer a challenge to the eye of the beholder in some of the city’s most historic landmarks. A number of the grand facades on the peninsula, such as the 1825 portico at South Carolina Society Hall, feature an ancient architectural illusion called entasis. This barely-noticeable feature entails a tapering decrease in circumference of portico columns at from bottom to top. It was first used by ancient Greeks to on their towering temples to compensate for a linear distance in perception that naturally tricks the eye. If columns are the same breadth all the way up, the width ratio appears concave from eye-level, and the solution is to reverse the image by making the column convex. The word entasis comes from Greek, meaning “to stretch tight”. The concept was perpetrated in the designs of Andrea Palladio, whose work inspired the Classic, Roman and Greek architecture that is evident throughout Charleston today. Even the Rolls Royce company got in the entasis act by the 20th century, adding the illusion to grills on the front of its cars to give the frame a more substantial look. Most of the larger columns on Charleston’s historic buildings are made of brick, and covered with stucco, offering bricklayers a challenge in building courses and bonding with a taper that nevertheless had to hold up massive pediments. Several, such as the columns of Hibernian Hall, had to be rebuilt after the earthquake of 1886. Entasis is not the only optical illusion in Charleston’s columns. The intentional pitch in side porch “piazzas” that allows water to run off also creates the illusion that many houses are leaning. A great example is the 18th century house at 17 Meeting Street at the corner of Lamboll East. The high, narrow single-house style also features a three-story piazza, and the combination of pitched floors and narrow height makes the house look as if it is leaning to the North. The sanctuary of St. Michael’s Episcopal Church is open on most weekdays, and well worth visiting for the sake of the incredible stained-glass windows alone. The four stained glass windows were all done by the famous Tiffany Company of New York. Behind the altar, the image of St. Michael slaying the devil, a likeness of Raphael’s famous painting in the Louvre, was done in 1893. Also on the East wall is Easter Morning, done in 1897. On the North wall, The Annunciation window was created in 1897, and on the South wall, the 1915 Tiffany is in the style of Art Nouveau. The most striking aspect of the windows is the color, made possible by a technique that Louis Comfort Tiffany perfected, called opalescence. He discovered in the late 19th century that he could add silica (opals) to molten glass by mixing in melted jelly and candy jars, whose chemical makeup allowed for diffraction of light in various angles and waves that intensified the color in the glass. Previously, stained-glass was highlighted by painting the panes, but Tiffany’s concept made this obsolete. The color is remarkable in the paintings, and with the diffraction that comes from any exterior light source, makes the vividness truly awesome. Interestingly, both the Annunciation and Art Nouveau windows were once doors, leading to a central crossing aisle that led from Broad Street to the churchyard to the South. The changing sun position during the day gives each window a greater radiance when the diffracted rays of light shine through, which is even more remarkable considering that storm windows have been added to protect the glass, and certainly affects the intensity of the light. Of the four South Carolinians who signed the Constitution, three are buried in famous Charleston church yards. Charles Pinckney, who is buried in eastern churchyard at St. Philip’s Episcopal, was the youngest South Carolina signer at age 29, but is considered to be one of the most influential in the final wording of the Constitution document. His version of Congressional representation included the tabulation of slaves, and Article 1, Section 2 of the Constitution famously bases representation on each state’s number of free persons, indentured servants, Indians who paid taxes, and three-fifths of the number of slaves. 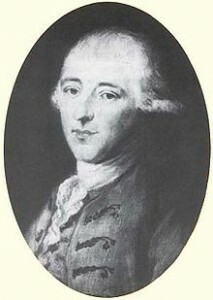 John Rutledge, who like Charles C. lived and studied in England during his early life, was nonetheless the most resolute of the signers in his determination to break from British rule. Rutledge was elected the first and only President of South Carolina after the province declared independecce from England in March of 1776. When an English fleet was sent to Charleston to crush the revolution, Military asked for him to order retreat from the tiny fort defending the city on Sullivan’s Island. In reply, Rutledge wrote that he would rather cut off his hand than sign such and order, and the fort and Charleston were saved. Pierce Butler is the least well-known of the four signers and the only one who was not America born or buried in Charleston today. Butler was Irish, and actually came to America as a British officer. This is an interesting note for those who dismiss Confederates as traitors, but call fighters in the Revolution patriots. Butler was also an owner of hundreds of slaves and argued for slavery to be protected by the Constitution. Butler was one of a small number of American officers who avoided capture when the British seized Charleston in 1780, and joined ranks with other famous partisan fighters such as Francis Marion and Thomas Sumter, who eventually drove the English army out of South Carolina. Butler died in Philadelphia and is buried in the city’s Christ Episcopal Church graveyard.